NIA CHARLESTOWN NEVIS (APRIL 11, 2016) — Premier of Nevis and Minister of Education Hon. Vance Amory urged students, parents, teachers and head of schools to work together to build on the achievements of the previous academic year and bring greater success at the end of the 2015/16 school year. Mr. Amory made the call when he spoke to the Department of Information at his Bath Hotel Office on April 11, 2016. He used the opportunity to welcome students, teachers and support staff on their return to school for the final term in the 2015/16 school year. He noted that the students were commencing the culminating term, which is a critical time for students who would be engaging in examinations for promotion, for the Test of Standards and the Caribbean Examinations Council’s (CXC) Caribbean Secondary Education Certificate (CSEC) and Caribbean Advanced Proficiency Examinations (CAPE). The Education Minister encouraged students to apply themselves during the last months of the school year. “They must recognise, especially those who are doing the CXC and the CAPE level examinations, that these examinations can make a big difference in their future. “It can make a difference in what jobs they can get. It can make a big difference in what they are able to pursue at university and in this regard it means that they should take these last few weeks very, very seriously,” he said. Mr. Amory also had some advice for teachers. He said they should see the last months of the school year as a challenge to give of their best to the students and he urged them to recommit themselves to ensuring that they do their best. “Give them the best guidance, the best instruction. Give them the best evaluation so that at the end of the year, whether they are doing examinations external or whether they are doing examinations internal that the students can feel that they have been well instructed,” he said. The Education Minister expressed the view that with effective teaching, effective learning can take place. He said he wanted to ensure that the teachers on Nevis understand that they have an important role to play and they could make or mar the future of the island’s children and, by extension, the future of Nevis. Mr. Amory told the school heads that they will encounter challenges on their return to school but there will be opportunities to do the type of job which will make students, teachers and in the end, parents proud of the performance of their children. He told the school heads and teachers they should endeavour to work closely with parents to encourage children to continue to perform at their best to achieve excellence. He also told parents they, too, should support their children and guide them, outside of school hours, to focus on their studies and in the end, they would perform satisfactorily when they write exams. 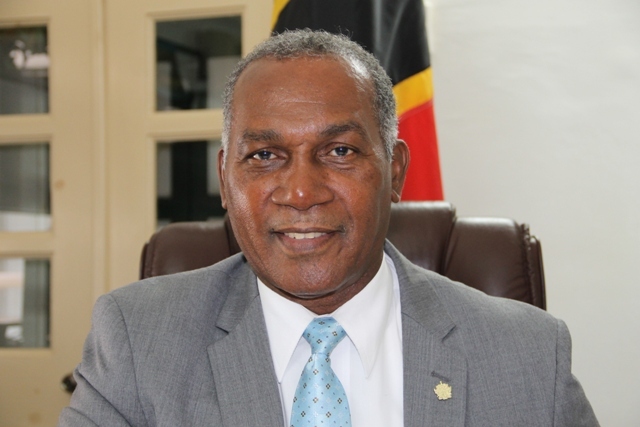 The Education Minister stated that students on Nevis had done well at the end of the last school year. He said there had been improvements in many areas including in English Language, Mathematics and Sciences, and Geography, and overall improvement in the pass rate. He expressed hope that there would be even greater improvement in the percentage passes and their quality at the end of the exams.